BETA Adult Large Breed Dry Dog Food With Turkey - 14kg. 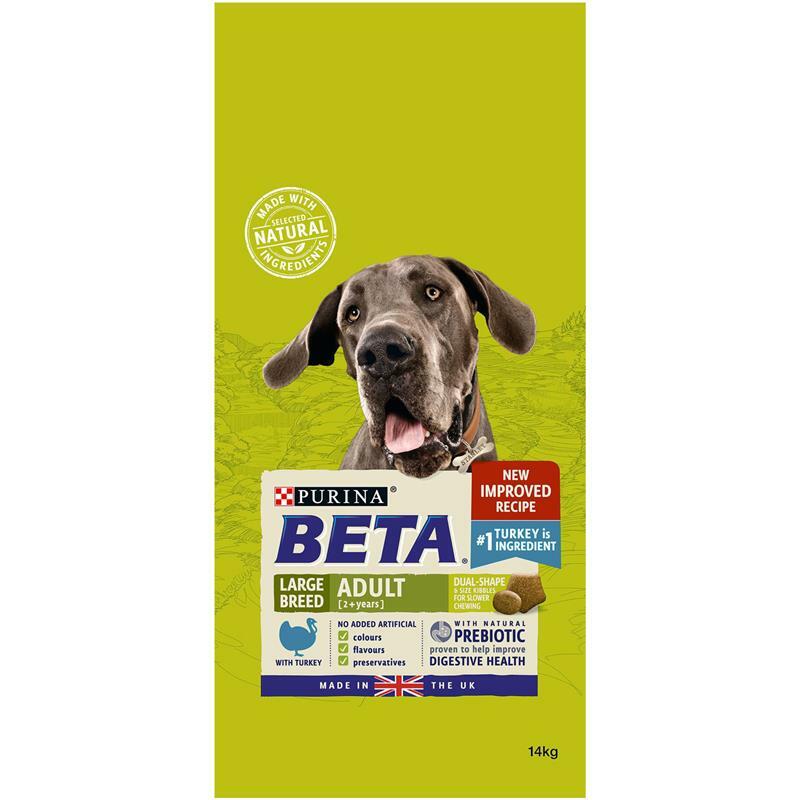 The BETA dry dog food has tailored nutrition for large breed adult dogs that includes essential amino acids to help support vital organ functions including the heart, and omega 3 fatty acids to help support healthy joints. It is also specially formulated with selected natural ingredients and a natural prebiotic to help support digestive health.